Observation notes: Time: 2:30 p.m. Temperature: 83 degrees. Wind speed: 7.67 mph. Sky: Partly cloudy. Notes: I caught this Large Marble a couple minutes after completing a Pollard Walk survey of the pathway behind my house. 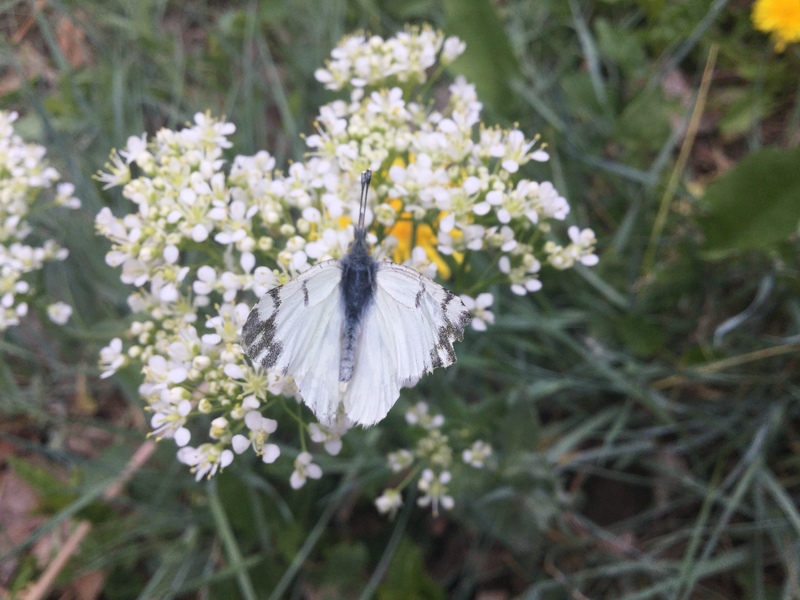 I just thought it was a Cabbage White as it flew by, and the only reason I caught it was for practice. 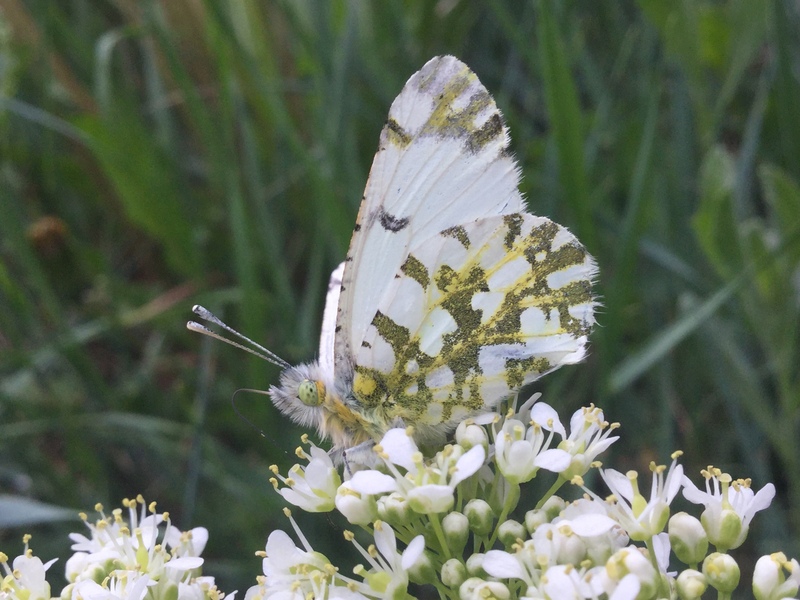 It was flying near an isolated grove of Hoary Cress (Lepidium draba), which I know serves as the local host plant of the Cabbage White, and probably this species as well. I certainly didn’t expect to see one of these in an urban area!